Battlefleet Gothic: Armada 2 gets a massive new update and first discount on Steam. Battlefleet Gothic: Armada 2, the epic space RTS from Tindalos Interactive and Focus Home Interactive, launched January 24 to great reviews from players and press. Bringing to life the dark future of Warhammer 40,000’s space battles like never before. 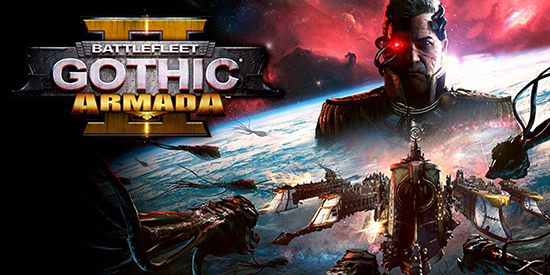 To celebrate these new additions, Admirals still looking to join the fray can get Battlefleet Gothic: Armada 2 for 25% off on Steam. Further down the line, Tindalos Interactive is set to add an epic skirmish and unranked multiplayer mode that allows for massive-scale battles with no fleet point limit, using some of the largest ships to ever terrorise the galaxy. Last but not least, a fourth grand campaign is on the way. More details to be unveiled soon.